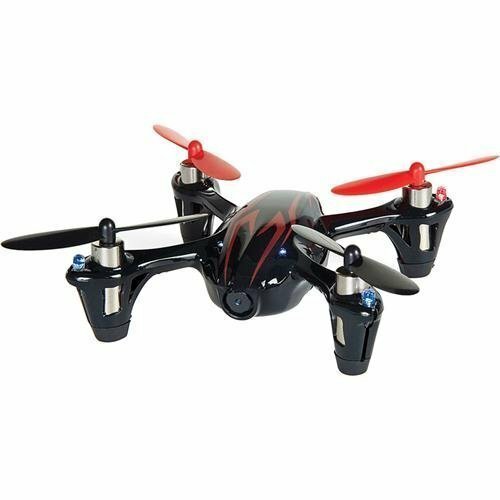 Home › Toys › Hubsan X4 (H107C) 4 Channel 2.4Ghz Rc Quad Copter With Camera - Red/Black Red..
Hubsan X4 (H107C) 4 Channel 2.4Ghz Rc Quad Copter With Camera - Red/Black Red..
Latest 6-axis flight control system with adjustable gyro sensitivity. Veryeasy to fly - novice to expert. Can charge through USB from your computer!Completely pre-assembled, no construction required! Fun straight out of thebox! Includes 4-channel digital proportional RC system. Get off the computerand in the air!.